This winter has been a rough one, and this week was yet another snow day. It is mid-March and I am ready for Spring to arrive (and stay!). However, the one (and only) thing I love about being snowed in is a hearty bowl of soup. Last weekend we had to cancel our annual St. Patrick’s day party with friends and I was left with a lot of mushrooms. My intention was to make stuffed mushrooms, and I needed to do something with them before they went bad. So, I knew I needed to make soup. Mushrooms are powerful immune-boosters and a good source of Vitamin D and selenium. 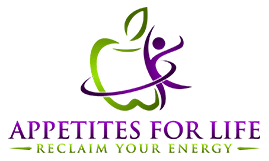 Selenium, by the way is essential for thyroid health. Another great source of selenium is Brazil nuts (you know, the long funky looking ones no one wants to eat from the nut cocktail). But back to mushrooms. I had cremini, white button and shiitake on hand, and went to work. Combined with carrots, quinoa, and lots of immune-boosting oregano and thyme, this soup proved the perfect remedy for a winter’s day. Mushroom barley is one of my all time favorites, but since going gluten-free four years ago, I have had to pass on making this. Nothing beats the fullness and tenderness of barley, but quinoa made a nice substitute for this soup. Plus, quinoa is a protein-packed superfood, containing all nine essential amino acids. So I got to work. I cut up onion and garlic, then put those in my trust soup pot with a bit of olive oil, salt and pepper to sweat. Then I added in diced carrots. After a few minutes I added chopped mushrooms (I didn’t count how many, but probably about 4 cups). A bit more salt, then I let the mushrooms sweat out until they released their juices. Next I added a tablespoon of Dijon mustard. Nothing goes better with mushrooms than Dijon mustard. It just adds a depth of flavor. Finally, the quinoa. Rinsed and ready to go. Next came the broth. I only had a small container of chicken mushroom bone broth, and a small one of vegetable broth on hand, and given the blizzard conditions I decided not to venture to the store. So, I improvised. A little of this, a little of that and some water. I have to say it turned out wonderfully. In the future I may use this combination again. But you can just use chicken or vegetable broth and some water if that is easier. The final step before letting the ingredients perform their magic was to add herbs. Bay leaf, thyme, oregano and sage. I tossed them in sticks and all (easier to fish them out later), and put it all to simmer. About 30 minutes later this soup was beautiful. 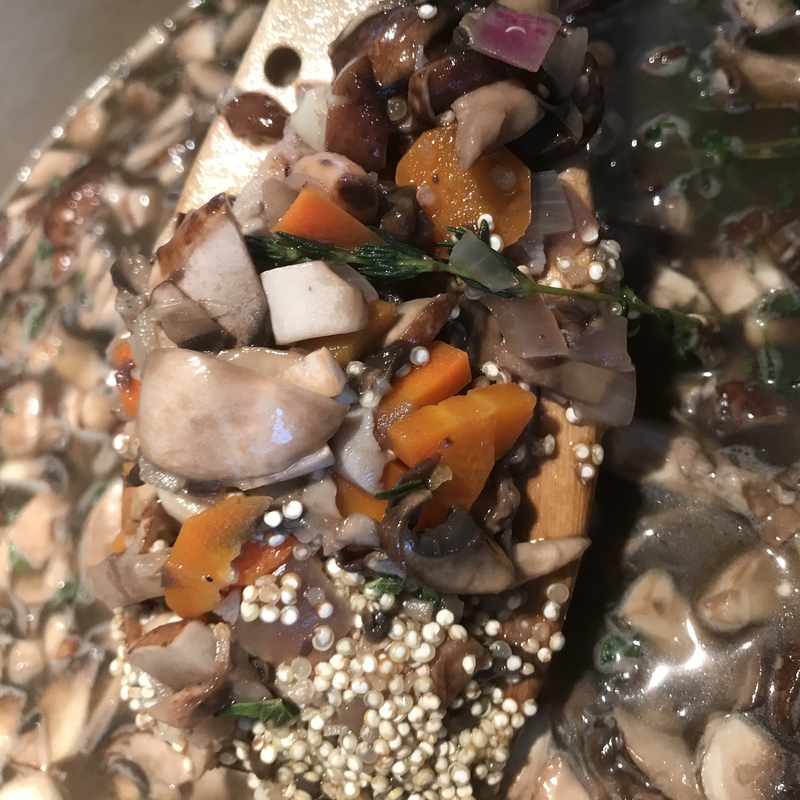 The mushrooms softened, lending a nice dark color to the broth, the quinoa popped open and fluffed up, soaking up the broth and the herbs delivered all their goodness. I made enough to enjoy the next day and freeze batches for another day – hopefully not another snow day. 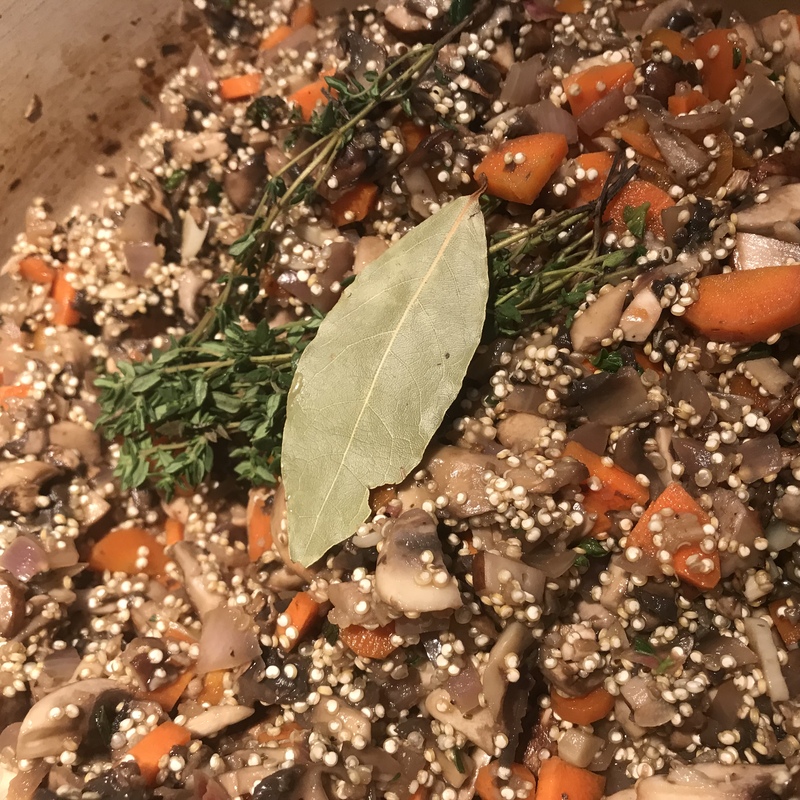 Prep your items: mince the garlic, chop the onion, carrots and mushrooms; rinse the quinoa. Heat a little olive oil in your favorite soup pot and then add in the onions and garlic with a bit of salt to sweat for about 5 minutes. Then add the carrots. Stir around. Once carrots have softened, add in the mushrooms with a small bit more salt and pepper and stir. Let them cook until they start to release their juices. Then add in the mustard and stir to coat the vegetables. Next, add the quinoa and toss together. Add broth and/or water and herbs. Bring to a boil and then let simmer for about 30 minutes until vegetables are soft and quinoa has fluffed. Finish the soup with a dash or two of apple cider vinegar and some coconut aminos or tamari (wheat free soy sauce). Here season your soup again with salt and pepper if needed. Add freshly chopped parsley to garnish.